The Richland police recently reported on their Facebook page that they were investigating a car vs pedestrian accident on the corner of Symons & Jadwin. The Tri-City Herald did have an update stating that the pedestrian died from her injuries after being transported to Harborview. The Herald also reported that after reviewing video of the area, officers determined that the pedestrian had attempted to cross Jadwin against the signal in the crosswalk and that the driver did have the green light. Obviously, this story has a number of issues that are related to auto insurance. Sadly, insurance cannot ease the grief of family and friends who lost a loved one but it can help offset many of the costs the family will incur. The Personal Injury Protection (PIP) coverage on your car insurance policy covers you and your covered family members for medical expenses in most car related accidents. So, even as a pedestrian your PIP coverage will step in and pay for medical bills up to the limits you chose, usually $10,000 as well as $2,000 for funeral expenses (higher limits are available). 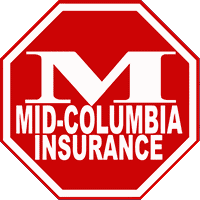 Washington state does allow the policy owner to decline PIP, but we always recommend you purchase the coverage. Even if you have good health care coverage from work, what about your passengers? And in a serious accident like this one, what would your deductible and co-pay be? If you are at fault, liability insurance is very very important, but even if as the driver you are determined to not to be at fault by the police, that does not mean that you will not have legal exposure. Anyone can sue anyone now days and without liability insurance you will have to pay your own lawyer’s bills to prove you are not-at-fault. With liability insurance, your auto insurance company will step in and defend you whether you are at-fault or not. PS. If you are at-fault in a serious accident like this, we hope you are carrying more than the state minimum $25,000 per person limits!